It was recently my pleasure to make another dive exploration of North Sulawesi, Indonesia, an area that offers some of the world's most interesting and unique scuba diving. North Sulawesi, and in particular Lembeh Strait, is said to contain the world's greatest diversity of marine life on our planet. A cornucopia of diving options includes everything from precipitous walls and blue water coral reefs to what is considered to be the all-time best critter/muck diving. In this report I strive to give you a feel for the region's unique scuba diving opportunities, as well as to define some of the best quality lodging and diving values currently available. 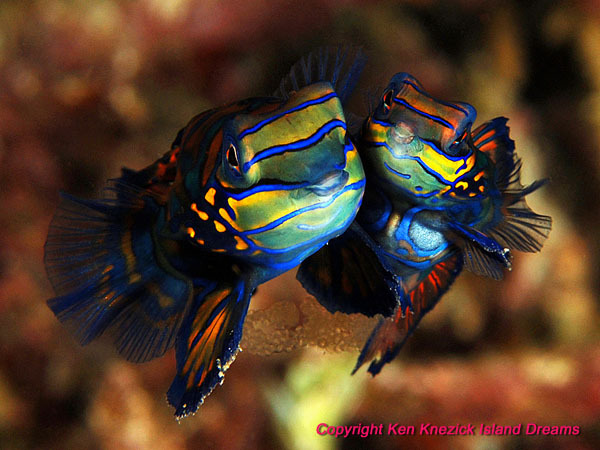 If you like what you read, I hope you will consider visting North Sulawesi yourself, and/or joining me on one of Island Dreams Travel's Conducted Group Dive Tours to Indonesia and the Pacific. Sulawesi, Indonesia - Straddling the Equator, the large and convoluted island of Sulawesi has a coastline greater than that of the USA. In the south, the remote Tukang Besi Islands and Wakatobi Resort are renowned for their pristine coral reef diving. In central Sulawesi is Toraja Land, home to some of the most unusual primitive cultures still surviving on our planet. In North Sulawesi is Manado, capitol of the region, the area of Indonesia with highest Christian population, and focus of this report. Gateway Manado - Located in the far northeast portion of Sulawesi, the city of Manado provides a very efficient entry point to the entire region. With a modern new airport, getting to North Sulawesi's great diving has never been simpler. Manado is easily accessed via direct jet service from Singapore, Bali, Kota Kinabalu and other major hubs. 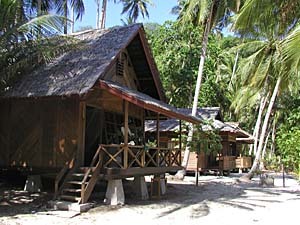 It also serves as jumping off point for the diving of Irian Jaya and Raja Ampat. The burgeoning port city of Manado and the neighboring city of Bitung are striking for their bustling economy, many Christian churches, and diverse populace living together quite peacefully. 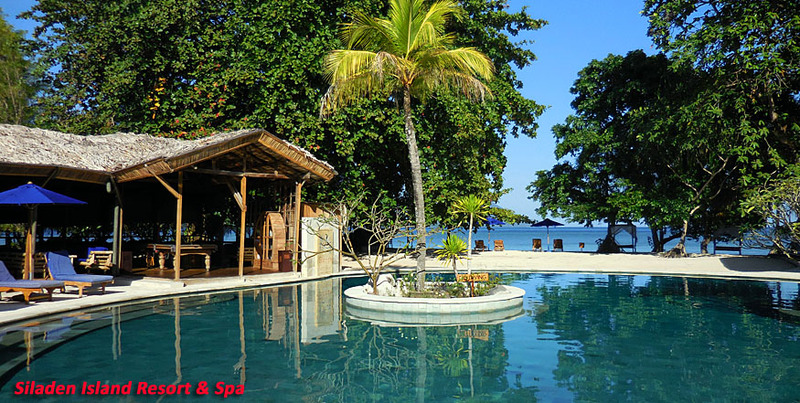 Resort Options - Once in the Manado area a selection of lodging options awaits you, ranging from simple inexpensive dive lodges to 4-star hotels and resorts with their own in-house dive operations. From Manado you have access to blue water coral reef diving in Bunaken Marine Park, or critter and muck diving in nearby Lembeh Strait. 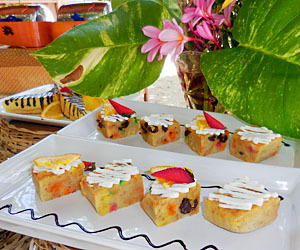 As they are only a couple of hours apart by an easy car/boat transfer, my recommendation is that you partake of both. On previous visits I have reported on other resorts in this region, as well as renowned Kungkungan Bay Resort, which we at Island Dreams are still very pleased to represent. But on this trip I was able to revisit and evaluate the continuing evolution of Lembeh Dive Resort, as well as to have first-hand experience of Siladen Resort & Spa. This report will provide you with detailed analysis of both lodgings and their diving operations. Always keeping an eye towards topside touring and spa highlights, I also highly recommend the rejuvenation to be found at the lush and contemplative Gardenia Country Inn, located in the highlands above Manado. Lembeh Resort - Located across Lembeh Strait from Kungkungan Bay Resort, this attractive up-scale property just keeps getting better. Remarkable for its thoughtful design, and the way it has been so cleverly and naturally integrated into the cove and hillside of its setting, Lembeh Resort's lush gardens, careful landscaping, and waterfront vistas make for a truly spectacular dedicated dive resort. Built with stone and exotic local woods, the spacious guest rooms have Balinese-style bathrooms, and wide ocean view balconies. Public spaces include the pleasing two-story dining room, ocean-side swimming pool and deck, dive shop, dockside gear storage with individual lockers, and a spacious, well-lighted camera preparation area with individual cubicles each equipped with charging facilities. 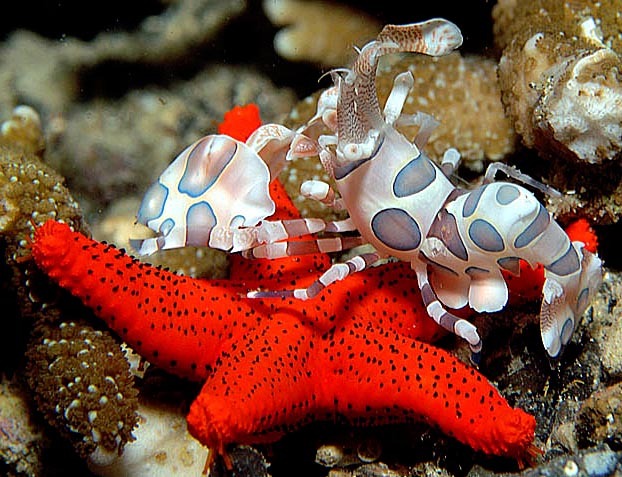 A definite asset is the fact that Lembeh Resort's diving services are handled by Danny Charlton's Critters@Lembeh. 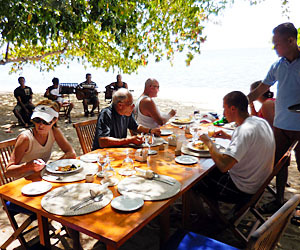 Their capable boatmen and highly experienced divemasters, coupled with efficient western-minded management, guarantee you the finest diving experience to be had in North Sulawesi. If there is any downside to be noted for this property it is that the hillside setting requires a bit of walking up and down stone pathways between the rooms, public spaces and dive areas. (There is the option to request a lower level room, or one of the new Gardenview rooms that are on sea level). 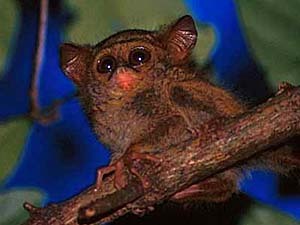 For my part I soon become accustomed to the additional exercise and came away from Lembeh Resort thoroughly impressed. Siladen Resort & Spa - Siladen Resort currently has 17 guest rooms, with three more luxury beachfront rooms planned for the 2015 season. The individual guest bungalows are private and serene. Built with rich native woods and stone, they have high ceilings with recessed lighting and modern high efficiency air-conditioning. 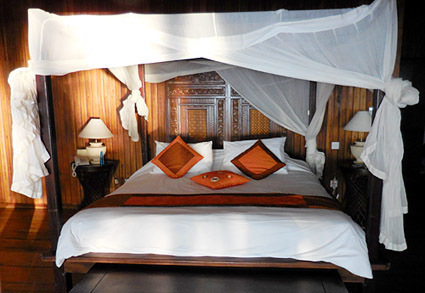 The king-sized four-poster beds are firm and inviting, and include excellent LED reading lamps. Of course, twin bed rooms are also available. Each room includes coffee and tea service with plenty of complimentary drinking water. The bathrooms are Balinese-style semi-open-air with good showers and plenty of hot water. High quality shampoo, body wash and moisturizing cream are provided. Built in a semi-circle around a lovely fresh water swimming pool, the public spaces are spacious and carefully designed. There are multiple bars, comfortable lounging areas, and even a slate pool table. The circular, open-air restaurant offers sweeping views of the pool, gardens, beach and the sea. 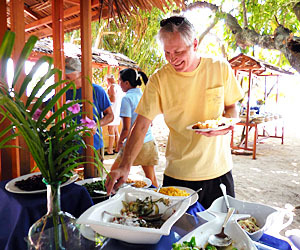 On occasion, the dining tables are moved out onto the beach, for a memorable luncheon, served ocean side under the shade of an immense almond tree. For a truly festive evening meal, the dining room is sometimes moved to the main beach, for a BBQ under the stars, complete with a flashy bartender juggling flaming bottles. Siladen Saturday Night - On one very special evening the resort transformed the dining room into a lush jungle scene, complete with giant palm fronds, vines, flowers and banana trees. 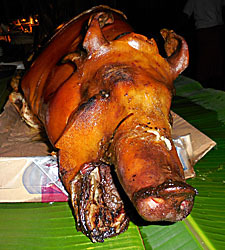 The meal was creative and superbly executed, though as you can see, it was not a vegetarian affair. 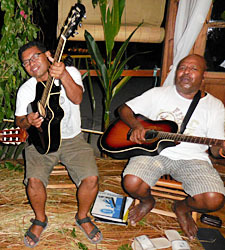 A live band brought in from Manado was excellent, playing everything from local folk songs to Delta blues. 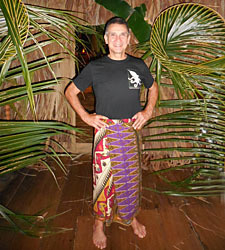 I did my part by wearing my best sarong, and ended up sitting in with the band on a couple of tunes. What a great party! 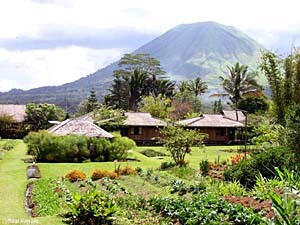 Gardenia Country Inn - Located in the small village of Tomohon (City of Flowers), the 45-minute drive from Manado to the Gardenia Inn takes you from the heat and humidity of sea level to an altitude of 900 meters, and a completely different environment. The air is pleasantly cooler and drier, and a different set of flora and fauna are evident. Set well back from the road beside an intriguing Buddhist temple, Gardenia Inn is artfully sited amidst manicured gardens, a rushing mountain stream and lively koi ponds. A selection of outdoor and semi-open nooks, platforms and small grottos are perfect for serious relaxing, reading, walking, bird watching and private meditation. Services include massage, day tours, and an excellent restaurant that specializes in a remarkable BBQ dinner that one cooks to taste on a gas burner built into your table. If all the contemplation is too much for you, the bungalow rooms also include a TV set, VCR, and a selection of contemporary movies are available. Gardenia Country Inn is a perfect spot for a romantic get away, a place to banish the symptoms of jetlag after the long international flights, or better yet both at once. 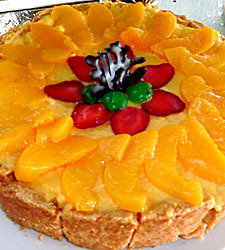 I look forward to visiting Gardenia Inn again myself. Bunaken Marine Park - In existence for some years now, Bunaken Reserve is probably the best-known scuba diving site in Indonesia. The good news is that it still lives up to its nickname of Bunaken Sea Garden. After the muck diving of Lembeh, most striking and satisfying for me is Bunaken's beautiful blue water, visibility often in excess of 100 feet, and schools of fishes. Here you may swim amidst colorful tropical reef fishes - pyramid butterflyfish, redtooth triggerfish, bannerfish, Moorish idols, and the like. Equally pleasing is the opportunity to encounter pelagic animals such as shark, eagle ray, and Napoleon wrasse, all while swimming along coral reefs adorned in soft corals, sea fans, and big sponges. The Bunaken dive guides are now equally as adept as those of Lembeh, and able to show many of the same exotic creatures to be found in nearby Lembeh Strait. Bunaken too has immense biodiversity, including pygmy seahorses, ornate ghost pipefish, orangutan crabs, devilfish, ribbon eels and much more, all with the background of a healthy coral reef and clear water.